Put all ingredients in a high powered blender and blend until smooth. Store in glass bowl or jar in the refrigerator. If liquid forms after raspberries thaw a bit, add in another tablespoon of chia seeds. Stir for about a minute until thickens. I hide beets in raw recipes whenever I can. In this case, it is not just the nutritional value but also for the visual effect. It will help deepen the “red” just a bit without altering the taste too much. I am no longer much of a toast or bread eater. I usually make my jams as preludes to other recipes such as Raw Chocolate Raspberry Thumbprint Brownies and Fruit Leathers. Blend all the ingredients in high powered blender. You may need to add a splash or two of water for easy blending. The tamper in the Vitamix will come in handy with this recipe. It will be hard to resist this sherbet like treat straight out of the blender. If you do, store in a glass jar or bowl in the refrigerator. The chia seeds create a great consistency to this jam. Process in a food processor or high powered blender for several minutes until everything is well-blended. Scoop into glass jars and store in fridge. 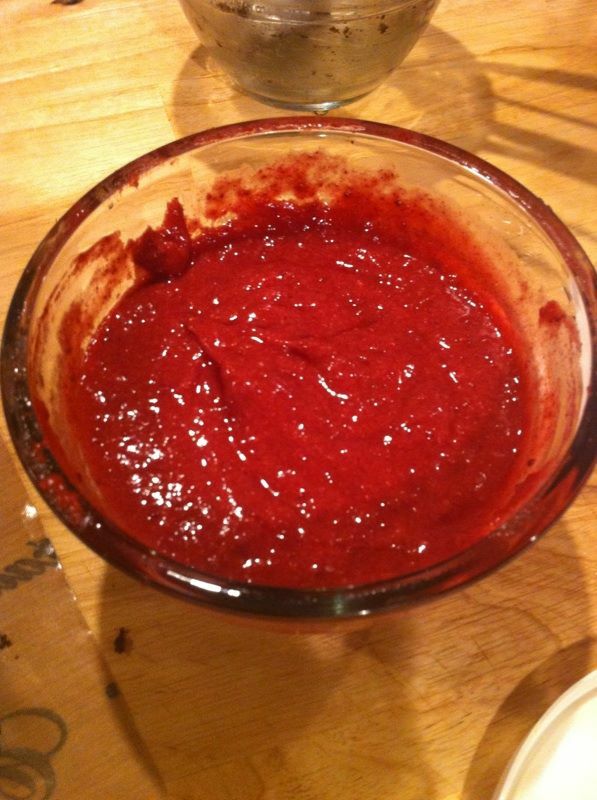 This entry was posted on October 28, 2015 by thrivecoach12 in Desserts/Snacks and tagged Fairview Heights Nutrition, Jam for healthy recipes, Raspberry Chia Jam, Raw Beet Recipe, Thrive Coach 12 Recipes.